Mitchell & Ness to launch three new Just Don shorts this week. 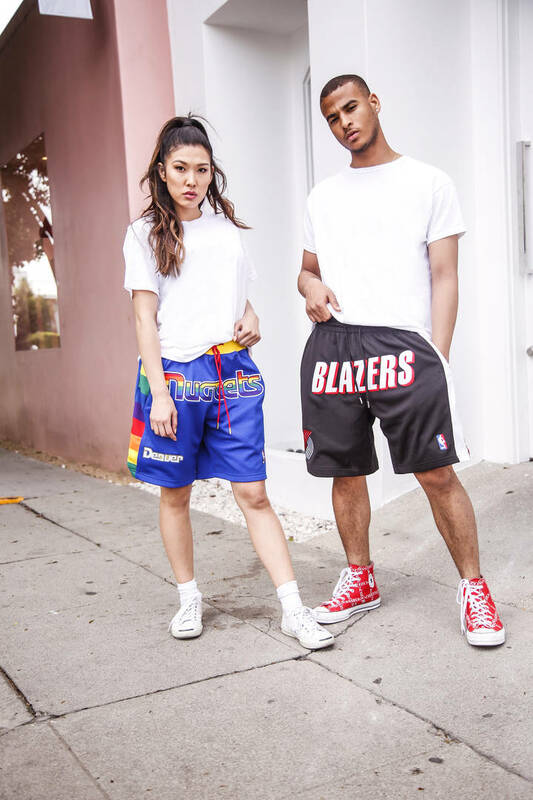 Mitchell & Ness are releasing a trio of new NBA shorts in a continuation of their collaboration with Just Don, which has already resulted in shorts inspired by the '90s Lakers, Bulls, Hornets and others. 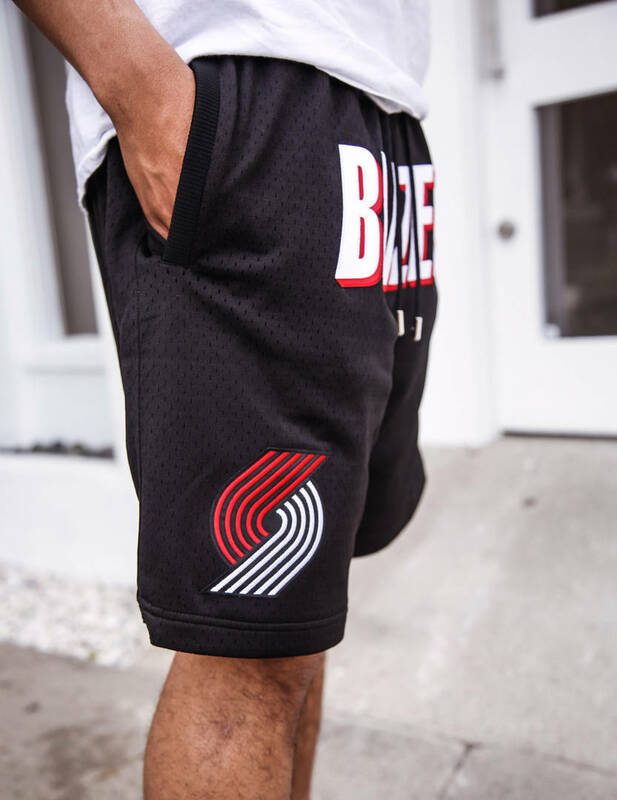 As part of the latest installation, Mitchell & Ness will be releasing shorts in honor of the Denver Nuggets and Portland Trail Blazers. 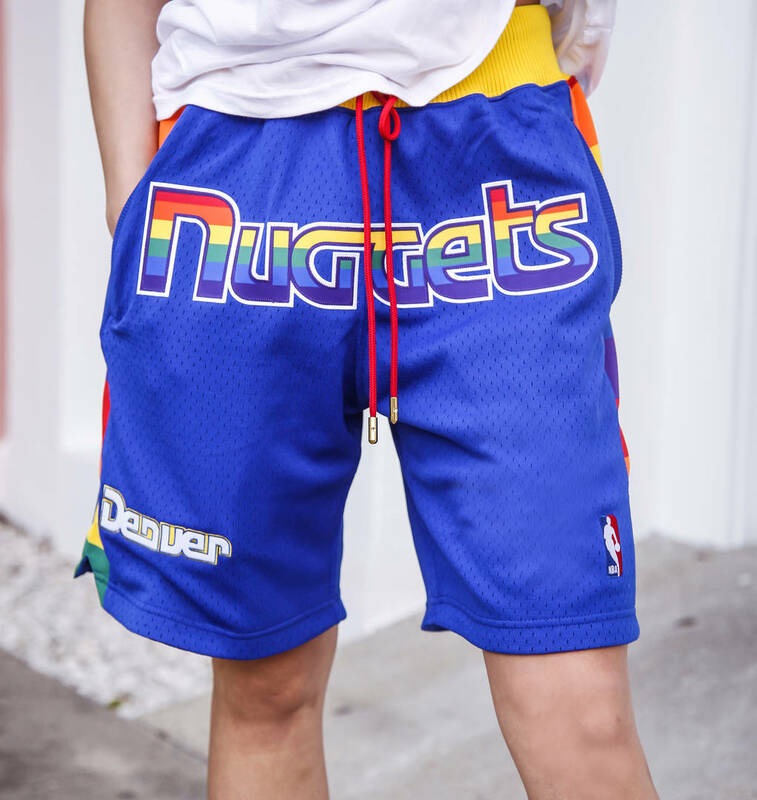 The Nuggets shorts features the iconic rainbow detailing across the front, as well as down the left and right side. 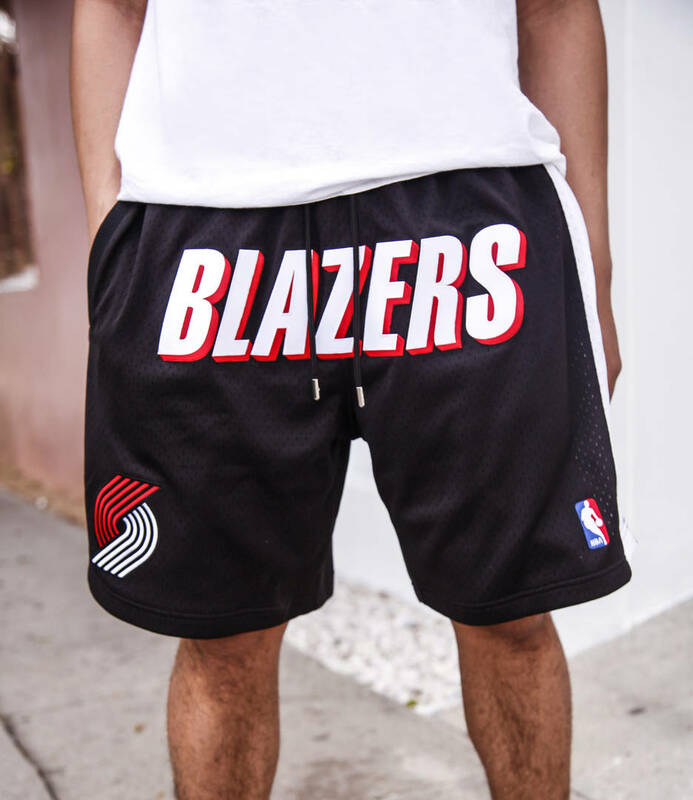 The Blazers authentic short, using the 99-2000 seasons as inspiration, consists of the Blazer logo on the lower left and the red and white Blazer wordmark across the front. Each pair comes complete with premium etched aglets and zipper pockets. 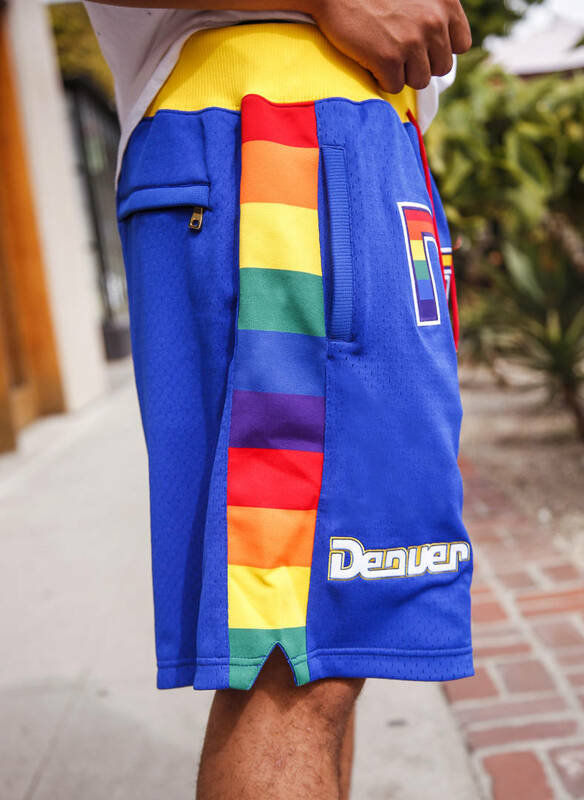 Both shorts, priced at $400 a pop, will be available at MitchellAndNess.com and select retailers starting tomorrow, April 16.